Summer School will be from May 28, June 21 and our theme is "Full STEAM Ahead!" We are excited to offer hands-on activities and many exciting field trips in grades PK-8, as well as a weekly cash drawing for those students with perfect attendance! Students in grades 3-8 will rotate between 4 different classes every day, much like the schedule of a college student. Some of the courses offered will be, Escape Kelly, Foodies, Coding, STEAM (Science, Technology, Engineering, Arts and Math), Mass Media, and Creative Communications. Summer is the perfect time to enjoy discovery learning!! Come and go "Full STEAM Ahead!" 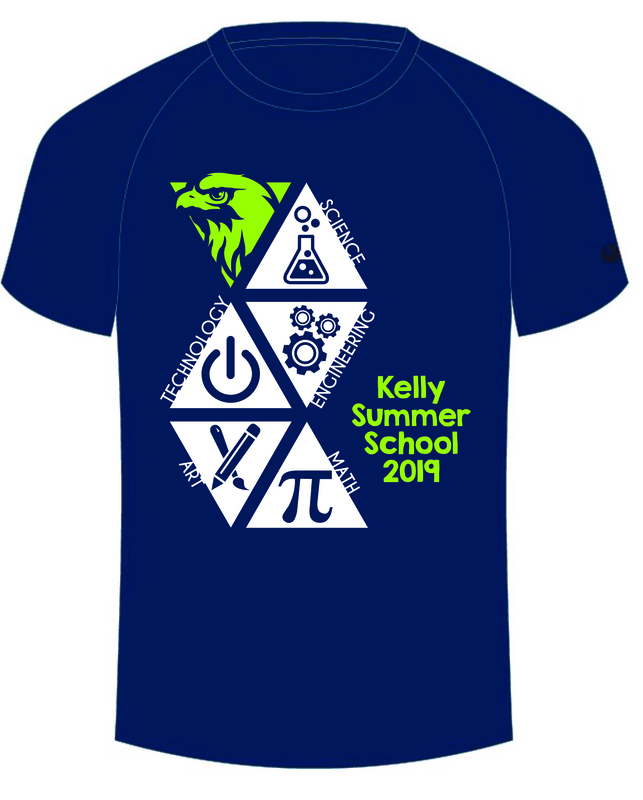 with us this summer at Kelly! The Summer School Enrollment Form, Course Description and T-shirt design are attached. T-shirts are $12.00, with and additional $3.00 for size 2X and beyond.